How Much Should a TEFL Class Cost? If you want to earn a professional level TEFL certification that provides you with the quality training and job placement resources and personalized support you need to land a great job, expect to pay at least $1,000 for your TEFL class. Key questions do consider: Do you want an internationally recognized training that you can use all over the world? Do you need help with your job search? Are you going to receive a premiere training that will give you the confidence you need to run a classroom overseas? If yes, you need to invest in a professional-level TEFL certification. Imagine your TEFL provider like a university and your TEFL course just like a college class. Your TEFL class must be taught by a university-level instructor, and internationally accredited. So when you see month-long TEFL classes for $200 or even $500, you should immediately be skeptical. Imagine even the cost of employing a university-level instructor to teach a month-long class. Bottom line - you get what you pay for in the industry of TEFL certification and teaching English abroad. 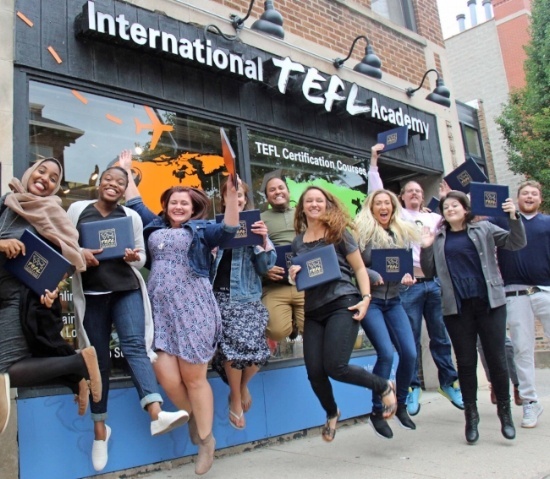 Invest in a TEFL provider that cares about you, guides you through the process of teaching English abroad, and one that providers a top-of-the-line TEFL training class. 1. Who is Teaching the Class? Is it a “TEFL tutor” (whatever that means)? Is it a college kid? Is it someone who taught English in China for a year? Or is it a professional, university-level instructor? Just because someone is TEFL certified and taught English abroad does NOT mean they are qualified to teach you how to become a professional English teacher. Just because you graduated from Law School does not mean you can now teach Law classes at Harvard. They are not the same. A university-level, professional TEFL training class should be taught by a highly qualified instructor with the equivalent of a master’s degree in TEFL/TESOL or a related field. You should expect to receive weekly feedback from your professor on your assignments, so you're constantly learning and becoming a better teacher. Your instructor should also have experience teaching English as a foreign language. Be very, very skeptical of any TEFL courses taught by a “tutor” whose qualifications have not been clearly spelled out. Key Takeaway: You need to pay a university-level instructor like a university-level instructor. This hourly wage is significantly more than someone who taught abroad for a year in China with a TEFL certificate. 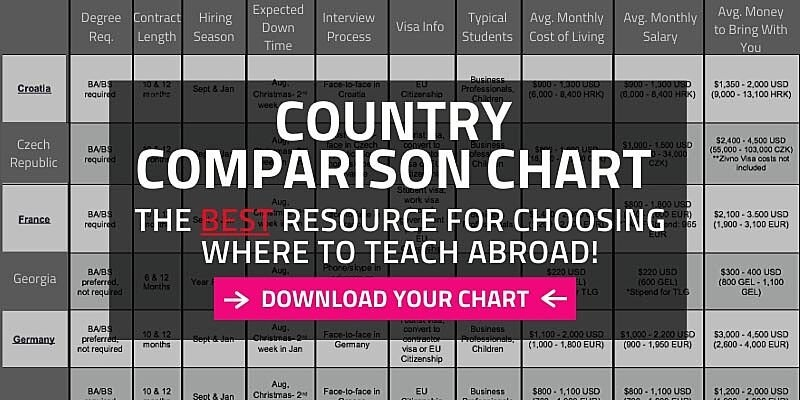 A common reason why some TEFL courses are so cheap is because they aren't taught by qualified professional instructors. Pro Tip! When you inquire by phone or email about a TEFL class from a particular TEFL school or company, ask them straight up who teaches their classes and if they have a link they can send you that details their qualifications. 2. Is the TEFL Class Accredited & Does It Meet International Standards? Some training is better than no training, right? In some cases, maayybeeeee. 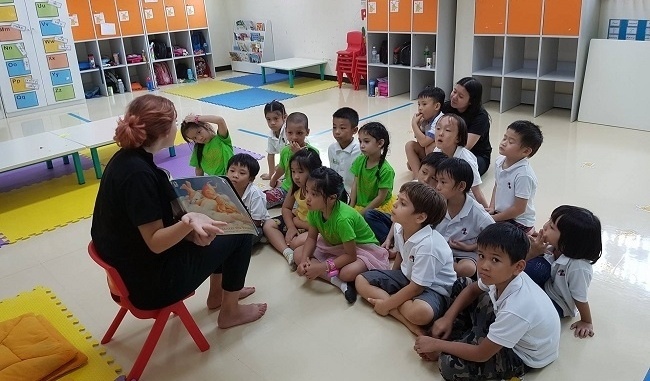 If you want to qualify for good jobs at reputable schools as a professional teacher, don’t bother taking a TEFL class unless you’re earning an internationally recognized and accredited TEFL certification that is accepted by employers around the world. At the very least, you class must be accredited and have 100-hours of academic coursework and 6 hours of practicum (live practice teaching with ESL students). Like university-level instructors, the best accreditation costs money. The process of getting your TEFL class accredited is not exciting or glamorous and be warned, a lot of industry jargon is about to appear. But stay with it, as this information is particularly important. The initial TEFL class accreditation stage can take 6-12 months. From there, TEFL schools can expect to host staff from the accrediting organization while they observe live classes, review the curriculum and assessments, and the accreditors conduct interviews with TEFL class professors and students. Still with me? From there, TEFL schools expect ongoing spot audits of student projects, tests, lesson plans, and more. Time is money, as they say, and this process takes both a lot of time and a lot of money. Then there's the actual cost of each certification being approved, authenticated, and individually numbered by the accreditor. Any reputable TEFL school would be paying about $40-$60 per certificate. To cut corners (and costs) companies will buy an accreditation with a one-time $1,000 fee, for example, and then that school issues certificates without any real oversight (not good). Read More: What is Accreditation For TEFL Certification Really All About? 3. What Support & Guidance Are Included to Help Me Find a Job? What all is really included in that $80, $200, $500 TEFL class? 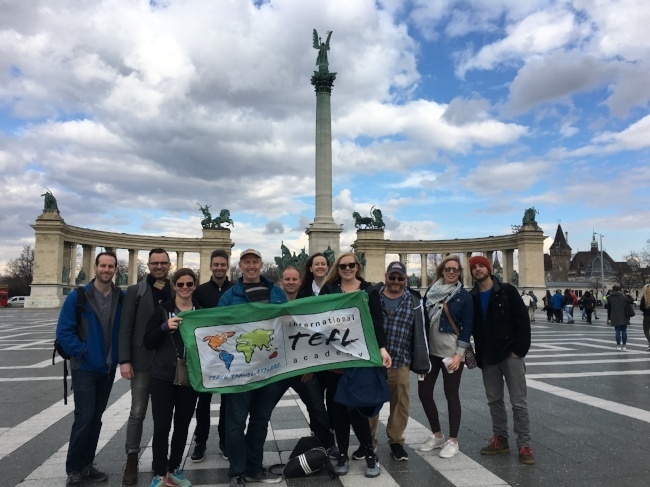 To recap, at this point you've been taught by a university-level instructor, and you've also received an internationally accredited and recognized TEFL certification all for a cost equivalent to an average road bike. Skeptical? We're skeptical. What should happen after your TEFL class? Are you sent links to a few job boards and told to start researching? Or are you working with a trained advisor and creating a customize plan for your job search? You need to know if you're receiving any sort of post-course job search guidance. You need to know how much (if any) human interaction or personalized support is included in your tuition. Will you have access to networking opportunities or a way to connect with fellow alumni? 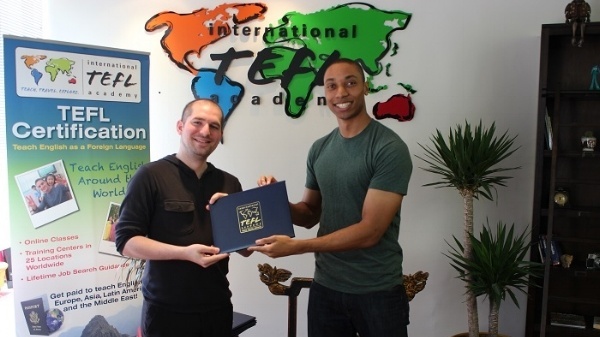 Read About International TEFL Academy Job Search Guidance. In short — are you paying for a piece of paper that you don’t know how to use, or are you paying for a professional teaching certification and personalized support & guidance that will lead you to a fantastic teaching job overseas? You want to work with trained, professional TEFL advisors that have walked the walk, lived overseas before, and truly live and breathe international travel. You want an advisor who is trained on the ins and outs of international teaching markets and can advise you on countries you’re qualified for, requirements you’ll need, salaries you can expect, and everything in between. It’s going to take 2-3 phone calls with an expert TEFL Admissions Advisor to determine if the TEFL school is a good fit for you and if so, which TEFL class is best for you based on your needs and goals. You should plan on being able to engage with your TEFL class professor for support during your class. Once you’re ready to begin your job search for your teaching position, you’ll need to work one-on-one with an expert job search advisor to map out your unique job search. This time and personalized guidance costs money. The world is constantly changing, visa procedures can change overnight, hot job markets and premiere schools ebb and flow, if you want to be in the know and be confident in every step of your planning, then you want to work with professionally trained staff. Key Takeaway: All of these interactions should be a no-brainer. They are a standard. If you’re paying $500 for merely a TEFL certificate that includes little to no personalized, expert post-course guidance then don’t bother. You’re seriously going to quit your current job, pack up all of your belongings, and get on a plane halfway across the world to start a brand new career without any professional guidance or advising? No. Way. Save yourself countless hours of frustration and Googling, and work with a professional whose full-time career it is to help you make this move abroad. At International TEFL Academy, we believe all teachers have a responsibility to their students to provide them with the best possible educational experience, which requires professional-level training. It's our policy that every person who wishes to teach English abroad must speak with an expert advisor prior to enrolling in their class. This is to ensure that each TEFL student will gain a clear understanding of what their job opportunities will be for teaching abroad and how the process of getting certified and hired actually works prior to committing time and money to enrolling in a TEFL course. ITA’s team of highly trained advisors have all lived, worked, and traveled abroad extensively. They receive on-going training to keep abreast with all of the latest developments relating to teaching English abroad. Your personal advisor is available to discuss all aspects of teaching English in different countries around the world including hiring requirements, interview procedures, cost of living, visas, salaries and benefits, and more. They are absolute experts in TEFL certification and teaching English abroad. To learn about free pre-enrollment advice about all aspects of teaching English abroad, please read 8 Ways Speaking to a TEFL Advisor Can Help You Teach English Abroad. Request a free brochure or call 773-634-9900 to speak with your expert advisor about all aspects of teaching English around the world, including TEFL certification, the hiring process, salaries, visas and more. Is International TEFL Academy’s Online TEFL Class Valid & Accredited? Teaching English Abroad - How Does is Work?